I'm not sure if I ever really introduced our new pair of barn cats. They have been around the farms for a couple months now and seem to be doing a great job of controlling the rodent population. This is Blaze. He's an orange tabby with an extra long and stripey tail. His favorite thing is to meow and mule and rub all over things like all he wants from the world is for you to come over an pet him. Of course, when you reach for him, this guy will hiss, swat at you, and run away. Weird cat. This is Blaze's sister, Ember. She's a smokey tortoise shell who is even more spooky than her brother. The only time we can get our hands on these two is right before feeding time when they will grudgingly tolerate pets in exchange for raw chicken. After what happened with Hunter, we are kind of glad to have more standoffish cats around. Losing him was heart breaking, and the life of an outdoor cat can sometimes be sorter than anyone would like. Luckily, so far these two have stuck very close to the poultry buildings and storage shed. They were born to a feral mother and love to hunt rats, mice, insects, and toads both day and night. I also think having the sibling pair together helps keep the wanderlust at bay. I am a foodie and like meat. 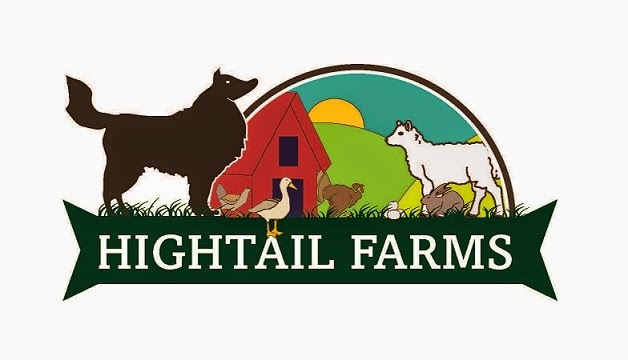 It is very troublesome for me to find some high quality meat and luckily high tail farms has done a great job by providing the help.